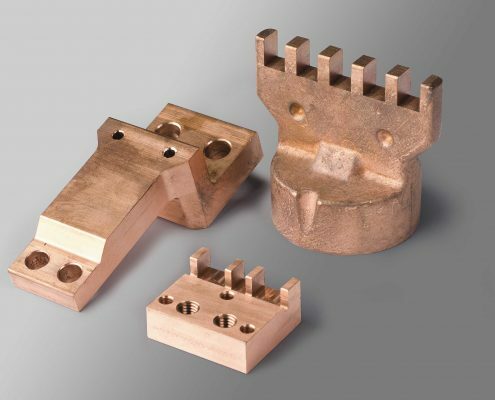 Alongside our special alloy silicon tombac, we also cast brass and pure copper in pressure die and permanent mould casting. Pressure die-casting is suited in particular for thin-walled components that require high surface reproduction accuracy. Permanent mould casting is generally used for bulky components with comparatively large casting weights.